Share projects, posts, join discussions...Become blogger! Step-up and be noticed by other participants, professors, companies, museums etc! Be First to get updates! This is one of the worlds most important student poster competition which promotes students to create and share ideas and visual communication underlining the global issues. This project is a great chance for future graphic designers of graphic art which will introduce them to the world. Ова е еден од светски најзначајните студентски конкурси за плакат кои ги промовираат студентите и ги охрабруваат да креираат и споделуваат идеи и визуелни комуникации кои ги издвојуваат глобалните проблеми. Овој проект е огромна шанса за идните графички дизајнери да бидат претставени ширум светот. Со задоволство ја прифативме понудата да работиме на подигнување на свеста за прашањето на Хив и Сидата. Ние, како членка на Мечународниот Црвен крст ќе исопратиме пораката и надвор од нашите граници. Ова е позитивен пример и за невладиниот скетор како треба да делуваме за вакви важни прашања. We received this proposition to work on raising HIV/AIDS issues with pleasure. 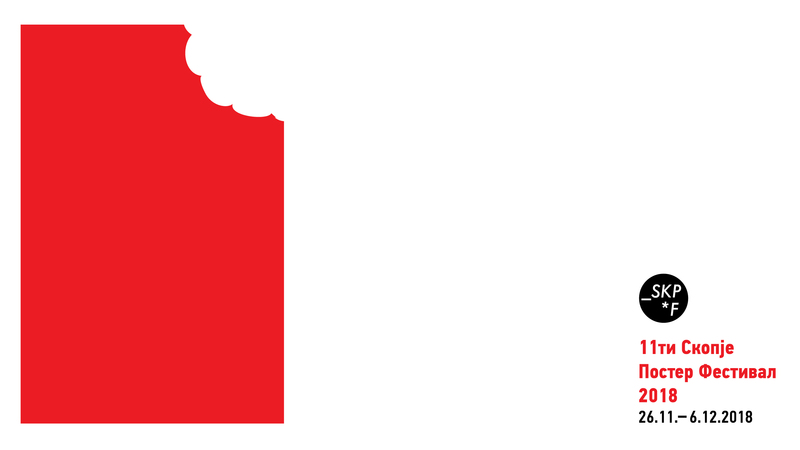 We, as member of Red Cross International will make efforts to pass on the effects of our work internationally. This should be positive example to other NGOs how should we act on such important problems. I feel blessed if I can help to inform youth of the importance of prevention from this irremediable disease, which concerns 35 million people in the world and I hope we will accomplish our goal and to reach as many as possible. Skopje Poster - цудоўная платформа, каб зрабіць першыя крокі ў графічным дызайне. На мой погляд, гэты конкурс можна апісаць трыма пунктамі: па-першае, просты ў выкарыстанні і сапраўды зроблены для студэнтаў, па-другое, ён дае магчымасць выказацца на сур'ёзныя тэмы, па-трэцяе, збірае зорак дызайну ў журы і апошняе... ён рэальна круты!!! Пријатно се чувствувам што помагам младите да се информираат за значењето на превенцијата од оваа неизлечива болест(сидата), од која се погодени над 35 милиони луѓе во светот и се надевам дека ќе ја зацртаме целта да ја информираме масовно јавноста за овој проблем. Студенческий конкурс Skopje Poster замечателен во многих отношениях. У него обширная международная география участников и хорошая публика, множество молодых дизайнеров не только местных, но и приехавших из других стран Европы, и не только Европы. У него солидные отцы-основатели, среди которых Алан Ле Кернек, Лех Маевски и другие мэтры мирового дизайна, и энергичный, задорный руководитель - Лазе Трипков. Жюри этого студенческого конкурса могло бы составить честь профессиональному дизайнерскому турниру любого ранга. У Skopje Poster широкие интересы и хороший вкус. Так что остается пожелать ему творческого развития и большого будущего. 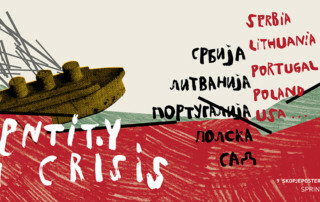 Skopje Poster is a good way to warn and educate the big audience. A poster, however, is not a solution to the problem. It reacts to what happens, and shapes the message into an effective visual form. A good poster challenges people to act. The International Student Poster Competition in Skopje is a great place for young designers to step forward and show their vision about world. Professional life is very important because it compliments the aspirations of a successful person; for a designer it is no different. 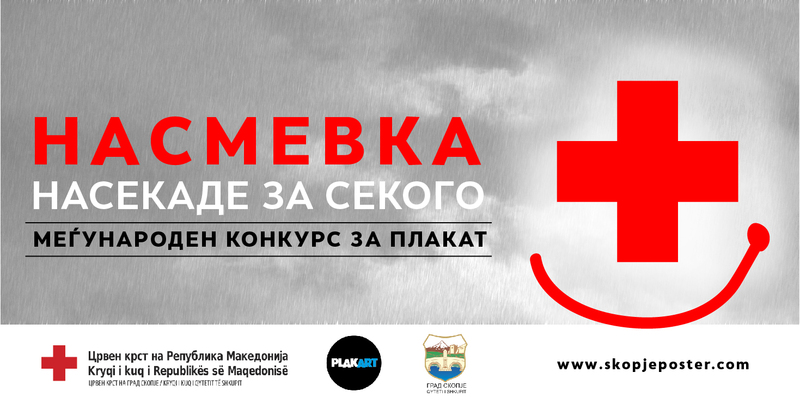 Skopje Poster is a motivation and personal development platform. For me it was a great start, and on it's 2011 edition it was one of the contests that saw the begining of my life as a poster designer. La vida profesional es de suma importancia pues complementa las aspiraciones de una persona exitosa; para un diseñador no es la excepción. Skopje Poster es una plataforma de motivación y desarrollo. Para mi, en su edición de 2011, fue el comienzo de un gran camino. Fue uno de los concursos que vio nacer mi vida diseñando cartel. I informed The 6th Skopjeposter competition so late, but i was so serious to participate because of its subject, it so interested me. The subject that I chose for my poster was one my most important concerns. And now I'm so proud that my work won this competition. 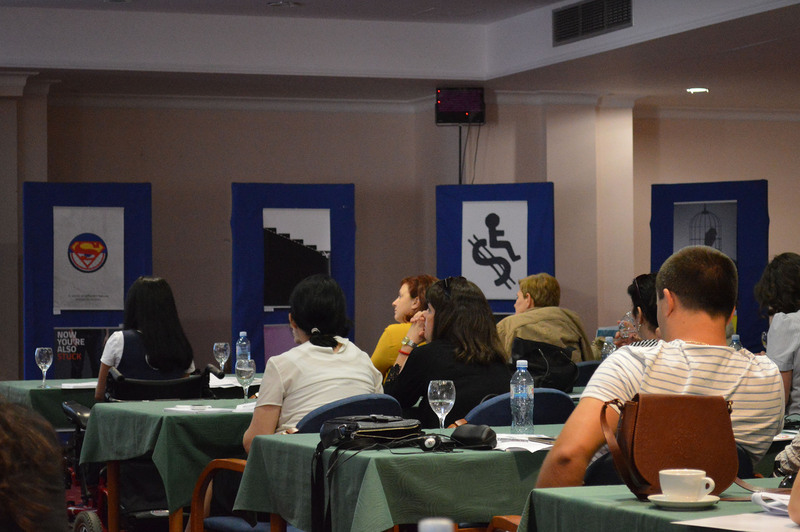 I'm hopeful that the Skopjeposter competition will be held for years and years, and follow the special topics! من خیلی دیر از موضوع دوره ششم رقابت پوستر اسکوپیه آگاه شدم و چون موضوع مسابقه (شهروند2020) برایم بسیار جذاب و متفاوت بود مصمم شدم که حتما برای این رقابت پوستر طراحی کنم. موضوعی که من برای پوسترم انتخاب کردم یکی از دغدغه های اصلی من بود و خوشحال و مفتخرم که کارم برنده مسابقه شد. امیدوارم مسابقه پوستر اسکوپیه تا سال های سال برقرار باشد و مانند همیشه سراغ موضوعات وِیژه برود! Teško mi je bilo odlučiti koji segment Regionalne konferencije Skopje Poster 2014. treba da istaknem. Možda koncept i ideje koje mijenjaju granice edukacijskih metoda u grafičkom dizajnu? Ili preciznu organizaciju, inspirativne prezentacije, fenomenalnu izložbu studentskih plakata? Možda društvo, toplo gostoprimstvo, priliku za susret sa starim prijateljima i opojno južnjačko vino uz ljubazna lica i neumorne domaćine? Ili pak ugodan hotel, iznenađujući Arheološki muzej Makedonije, šetnje pored Vardara i nevjerovatno Skopje? Ostaviću budućim učesnicima da sami presude proglase pobjednika među kvalitetima koji se pored najboljeg grafičkog dizajna mogu naći u južnoj oazi Evrope. Jedno znam: nipošto ne treba odbiti poziv Plakatartovaca. Call It was hard to decide which segment of the Regional Conference Skopje Poster 2014 I should emphasize. 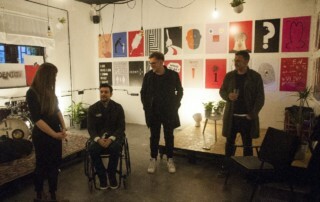 Perhaps the concept and the ideas that change the boundaries of educational methods in graphic design? Or precise organization, inspiring presentations, phenomenal exhibition of students' posters? Maybe companion, warm hospitality, a chance to meet with the old friends and heady southern wine with a friendly face and tireless hosts? Or a pleasant hotel, surprising National Archaeological Museum, walks next to the Vardar and unbelievable Skopje? I'll leave this to the future participants to own judgment declared the winner among the qualities that, next to the best graphic design, can be found in this southern oasis of Europe. One thing I know: no way you should reject the call from Plakart people. Társadalmi egyenlőtlenségektől, gazdaságunk és környezetünk hanyatlásától terhelt világunkban a Skopje Poster csapat nagyon fontos szerepet tölt be. Emberi sorsokat érintő kérdéseivel, témáival hívja a tanuló grafikusokat közös gondolkodásra, cselekvésre. A fiatal művész generáció így esélyt kap, hogy munkáival a világ jobbítók soraiba álljon, lehetőséget kap hogy megmutathassák magukat az érdeklődő közönség számára és a nemzetközi szakma előtt. Szívből bíztatok minden nyugtalan szívű művész társamat a Skopje Poster által rendezett plakát versenyeken való részvételre. 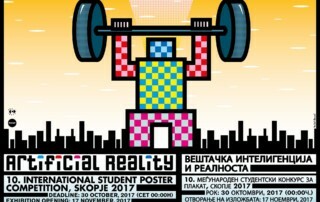 In the time of social inequality, economy and environmental decline the Skopje Poster team plays a very important role. Asking questions observing human destiny, they invite all the studious graphic artists to take part in common thinking and common actions. Thus the young artist generation gets a chance to stand up as a world-changer force, gets an opportunity to show themselves and their works to the curious audience and the international profession as well. I hereby urge all the restless-hearted fellow artists to participate in the contest organised by the Skopje Poster. Skopje fue y sigue siendo una gran experiencia para mí. Es importante que existan proyectos así para generar cultura visual y conciencia social mediante la creación de cartel. 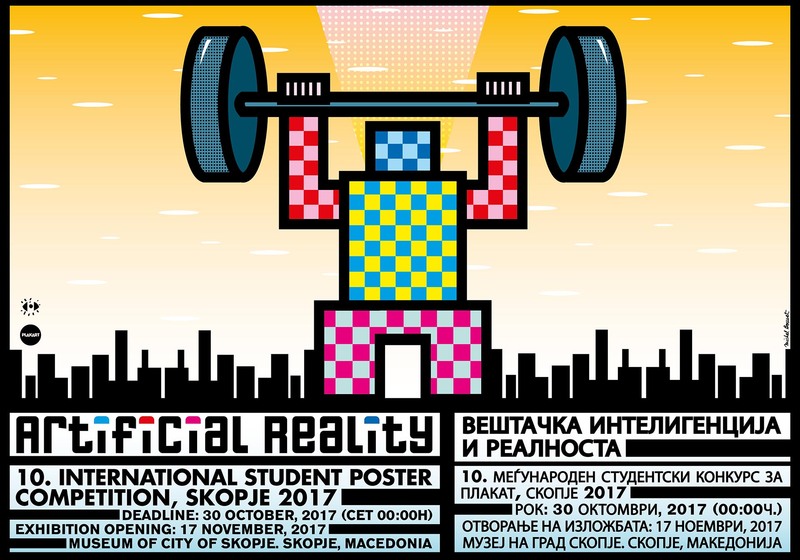 Skopje Poster është një dritare, ku studentë nga çdo cep i botës, me gjuhën e vet pamore, por të kuptueshme per të gjithë ne, shprehin shqetësimet apo mesazhet për përditshmëritë tona me të cilat përballemi kudo që ndodhemi. I think nowadays it's really difficult to create artistic graphics that can make peope think. Many of the works submitted to this competition are successful in this aspect. It's a great challange for designers to find a path where nobody else has been and it's a great joy for the viewer to see such quality graphics that they never seen before. A mai világban igazán nehéz olyan grafikát alkotni, amely művészi megjelenéssel élve tud sokakat elgondolkodtatni. Az ezekre a pályázatokra beküldött munkák jóhéhányának ez sikerül. Nagy kihívás a tervezőknek olyan utat találni, ahol előtte más még nem járt és nagy öröm a nézőknek olyan minőségi alkotást látni, amilyennel korábban még nem találkozott. Five years after my participation in the jury of the Skopje student poster competition I remember the days of friendship, warm hospitality but especially the high level of work of the participants and the excellent organization also. I wish you all the best. Skopje Poster is a great platform to make your first steps in graphic design. As for me there are three cardinal points to describe the competition: it's simple of use and really made for students, it allows to speak up on serious themes, it gets together design stars to judge the works and finally... it's just awesome!!! Πέντε χρόνια μετά τη συμμετοχή μου στην κριτική επιτροπή στο "Skopje student poster competition", θυμάμαι τις μέρες φιλίας, ζεστής φιλοξενίας αλλά ιδιαίτερα το υψηλό επίπεδο των εργασιών των συμμετασχόντων και την άψογη διοργάνωση. Εύχομαι σε όλους τα καλύτερα. I love Skopje Poster's vision of design as a democratic tool, the idea that design can change (a little bit) the world, can help people to be more free-minded. Can be a seed of change. Once into the forest there was a big fire; a hummingbird was flying with a little bit of water within his beak in attempt to extinguish the fire: “What are you doing? - asked the lion laughing – what do you think you can do with this few drops?”. “I do my job” answered the bird. This is the idea that moves social designers. And this is the idea I found among my Skopje's friends. My stay in Skopje was delicious, amiable and interesting people. A memory I keep in my hart with great pleasure. Skopje Poster is place where design is still seen with hope and joy. Because, as Giulio Carlo Argan once said: "Those who chose not to design, already decided to be designed. I had a pleasure to be invited to Skopje Poster Festival and to exhibit my works at Skopje Design Week. During my stay there I had opportunity to meet talented people all over the world and attend inspiring exhibitions. Skopje Poster was wonderful experience and made me feel welcome every step of the way. Miałem przyjemność być zaproszonym na Festiwalu Skopje Poster i pokazać moje prace podczas Skopje Design Week. Podczas mojego pobytu w Skopje miałem okazję poznać utalentowanych ludzi z całego świata i być na wielu interesujących wystawach. Skopje Poster to piękne doświadczenie, które spowodowało, że czułem się wyjątkowo w każdej chwili tej przygody. Introducing young talent regardless of borders is a major task...Skopje poster does it well over the years, it's true that young generation of designers needs it. معرفی استعدادهای جوان بدون در نظر گرفتن مرزها کاری بزرگ است ...اسکوپیه پوستر آن را سال ها به خوبی انجام می دهد ، بدرستی که طراحان نسل جوان به آن نیاز دارد. Скопје Постер, како интернационална платформа, носи големо значење во однос на можноста визуелно да се искаже мисла за теми кои секогаш ги допираат длабоките човечки вредности. Истовремено, ги поврзува дизајнерите ширум светот и дозволува на еден ѕид да бидат претставени различни аспекти за одредени теми. Да се учествува во овој конкурс значи да се презентира сопствената мисла на сопствен јазик во рамките на една глобална комуникација. Üsküp Afiş Festivali'nin "uluslararası tasarım eğitimine ve tasarım kültürüne katkısı büyüktür. Üsküp Afiş Festivali'nin daha nice yıllar sürdürülebilir, entellektüel, nitelikli bir geleceğe katkıda bulunabilmesi dileğiyle. Skopje Poster Festival is “the contributive spirit towards international design education and design culture”. With sincere wishes for the International Skopje Poster Festival to contribute for many years to come, towards a sustainable and intellectual future of superior quality. The City of Skopje is proud and pleased to have the opportunity to support this youth initiative which brings the creativity of youth, as well individualism, healthy unspoiled intellectual honesty and critical thought in the perception of the states in society. This student project is important due to two facts. It strives to create better social opportunities for creative young designers and for their promotion worldwide and also articulates with the idea to use design as a mean to bring semiotic messages for a better future. This manifestation is practically a prove that the art is indeed a mean of bringing the world together. 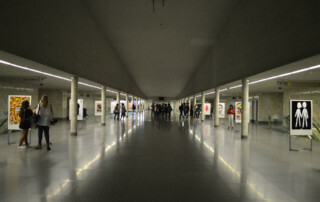 Plakart‘s efforts from its establishment in 2007 have put a lot of energy in the development and promotion of the art and culture, especially in the progress of the distinctive arts as the design and multimedia are. At last, I would like to wish all young artists never to accept the world the way it is, nor to leave it as it exists. Особена чест ми е да го прифатам предлогот упатен кон град Варшава за соработка во рамки на Меѓународниот студентски конкурс за плакат. Целиот проект е од големо значење бидејќи ги инволвира студентите од многу земји. Токму преку промоцијата на меѓународниот мултикултурен дијалог и современата наука можеме да изградиме отворена и толерантна врска помеѓу националностите. Би сакала да им честитам на организаторите за иницирање на изложбата. It give me a great pleasure to accept the invitation given to the City of Warsaw to cooperate in the International Student Poster Competition, Skopje. The entire project is of great interest as it involves fine arts students from many countries. It is only through the promotion of intercultural dialogue and common learning that we can develop an open and a tolerant relationship between nationalities. I would like to congratulate the organisers, PLAKART, for initiating this exhibition. 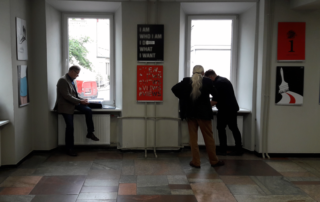 Organizację międzynarodowego konkursu dla studentów na plakat poświęcony tolerancji w młodym kraju przez młodych ludzi, uważam za wielkie wydarzenie polityczne i artystyczne. Niezwykle trudne konkursy gromadzą wiele interesujących prac studentów z całego świata. 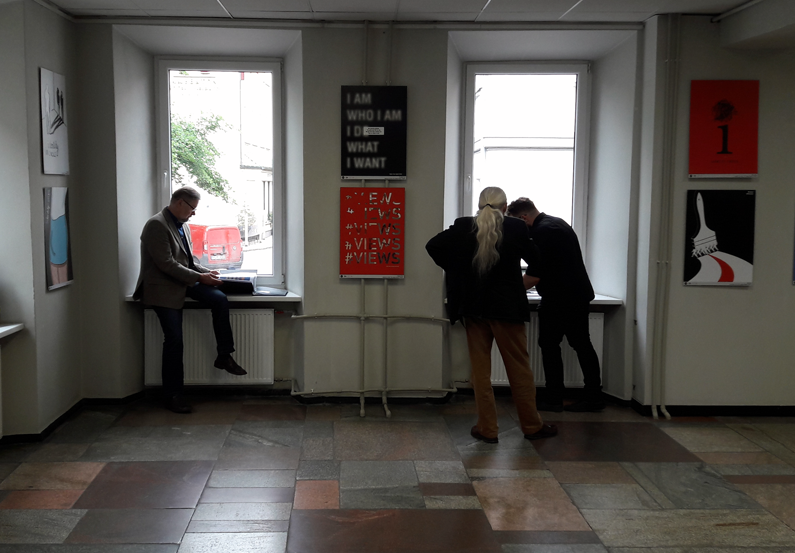 Chciałbym pogratulować organizatorom, oraz podkreślić, ze byli moimi studentami, co sprawia mi większą przyjemność. Z dużym zainteresorwaniem oczekuję następne konkursy. 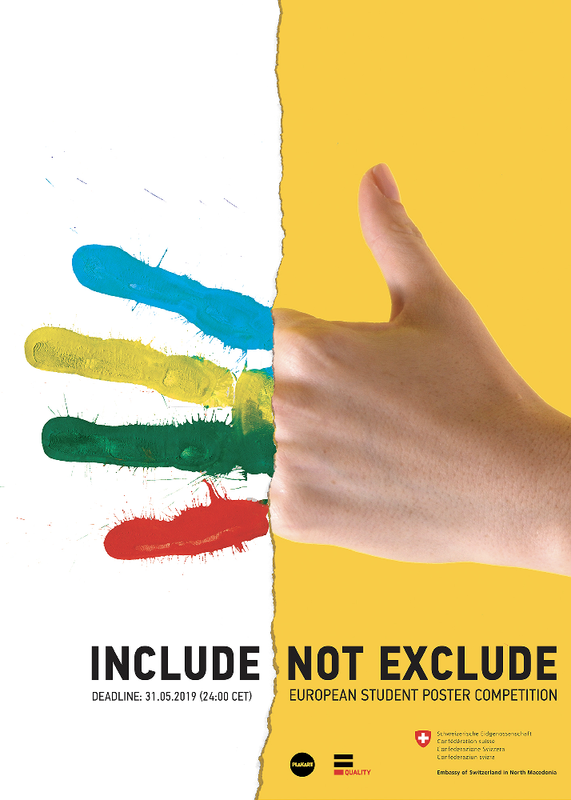 In my opinion, organising an International Student Poster Competition on the subject of Tolerance by young people in this young country is a great political and artistic event. Many interesting posters created by students from all over the world have been submitted to this challenging competition. I would like to congratulate the organisors, who are my former students, which makes my pleasure even greater. The importance of this of this competition lies in the fact that the participants are students, but also the topics leaving a mark on this new and further generations. Changing awareness among youth is very encouraging endeavor. In this respect, the Skopje ISPC is very important and deserves every support. It is also important that the results of this movement reach out the streets, rather than only catalogues and gallery walls. In the month of June 2008, the Museum of City of Skopje met Dryness and dankness, Silence and noise, Dark and light, Humility and unprudishness, Ice and fire, blackness and redness…we have passed the exam of the tolerance. W czerwcu 2008, w Muzeum m.st. Skopje spotkały się Susza z ulewą, cisza z hałasem, noc ze światłem, pokora z bezpruderyjnościią, lód z ogniem, czerń z czerwienią...zdaliśmy test na tolerancję. I believe the project is an important step in promoting dialogue and tolerance across the region, and that involving students in this activity is a positive step. The organisers made sure all the arrangements were in palce for a professional selection process. I will always remember my visit in Skopje as an experience which I wholeheartedly enjoyed and which I look forward to repeating in the not-too-distant future. Skopjeposter competition produit un excellent travail pour aider les prochaines génération de designers graphiques à s'intéresser aux grandes causes et leur donne l'opportunité d'influencer ou d'inspirer leur voisins citoyens, renouvellant ainsi une longue tradition d'activisme du graphisme en faveur de l'Humain. Skopjeposter competition produced an excellent job in helping the next generation of graphic designers to focus on the major causes and gives them the opportunity to influence or inspire their neighbouring citizens, renewing a long tradition of activism of graphics in favour of the human race. Многу сум среќен што повторно сум во Скопје, по долги години пауза. На овој град му ја должам мојата кариера(...)Беше многу тешко да се изберат победниците на „Пари бесплатно“ 5от Скопјепостер конкурс. Се осеќав и инспириран и љубоморен на неколку дела. Еден голем аплауз за организаторите за одличната работа и за Лазе, кој е прекрасен човек.(... )Само на овој начин можеме да очекуваме да се популаризира дизајнот и да стане интегрален дел од секојдневието. Во нашиот регион неопходно е дизајнот да стане важен дел на демократските комуникации во визуeлнa смисла. I am very proud that I visited Skopje, after very long time. To this town I honour my carrier. It was hard work to select the winners of the Money for Free V ISPC/Skopjeposter competition. I felt both inspired and jealous to couple of authors for theirs works. Organisers are very nice and I applaud to them and to Laze for the job greatly done. (…)This is the only way that we can expect design to be more popularised and to become part of the everyday life. In our region it is necessary design to be forced as important part of the democratic communications in visual form. Со задоволство ја прфатив поканата од Скопјепостерци да учествувам на фестивалот. Скопјепостер е проект кој врши одлична работа за размена на уметност. Целиот свет го запознава Скопје. Македонија навистина има млади и талентирани уметници, но не знам колку државата им дава шанса да го покажат својот талент. За жал, луѓето, индустријата и политиката не гледаат пари во дизајнот. (…)Јас сум дислексичар. Поради тоа имам мали тешкотии со читањето и со пишувањето, но истовремено научив да паметам слики. Тоа е една од добрите работи што ми помогнаа во кариерата. (...)Најдобрите илустратори во Америка во моментов се мои поранешни студенти, на што сум особено горд. Преку студентите всушност продолжувате да живеете. I received the invitation from Skopjeposter with pleasure. There is a great exchange of art that is happening here. Regarding all i saw at Skopje Poster Festival i concluded that Macedonia has very talented young artists, but I am not sure if the country gives them enough opportunities to show their talent. Unfortunately, business people and politicians don’t see any money in design. (…) I am dyslectic. Because of that I have little difficulties with writing and reading, but at the same time I learned to memorize images. That’s positive aspect that helped me throughout my carrier(…)The best illustrators in America are my former students which makes me very proud. It is through students that we continue to live on.